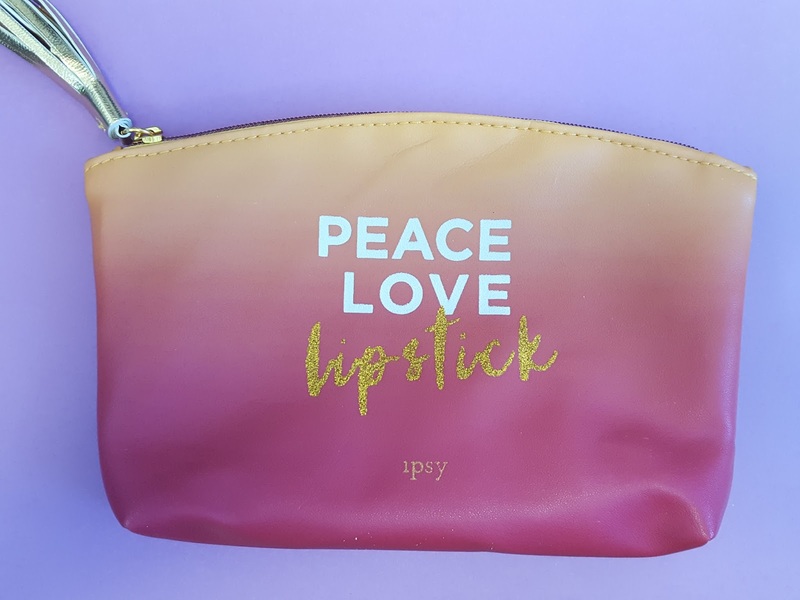 What: Ipsy Glam Bag contains 5 deluxe samples and full sized beauty products in an exclusive makeup bag. Fun Extras: You can review your products each month to earn points which can be redeemed for bonus items. You can also purchase the products you love straight from the Ipsy website. 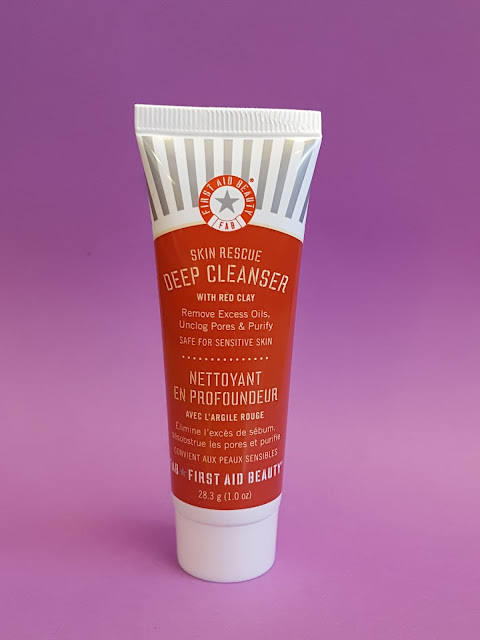 First Aid Beauty Skin Rescue Deep Cleanser with Red Clay - This gel cleanser foams up when you apply it and the combination of red clay and rosemary oil keep skin balanced. Apparently pregnancy amps up sebum production which makes my already oily skin somewhat of an oil slick. They say clay and charcoal cleansers are great for oily skin. I have mixed feelings about that claim based on past pre-preggo experiences, but right now I'm at a point where my glycolic acid cleanser is keeping my face at a (bit below) happy medium and I'm afraid to change ANYTHING at the moment. 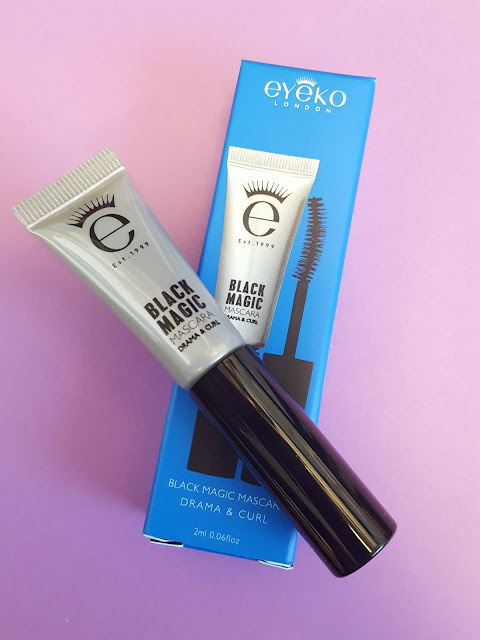 Eyeko Black Magic Mascara - I've tried this before and while I don't have anything against this particular one, mascaras in general are not really my thing. I've never met one that actually curls and lengthens like it claims to. Next. Naked Cosmetics Translucent HD Finishing Powder - Again, I'm not overly impressed with translucent powders. The way I see it is if you've tried one you've tried them all since they basically have the same silica/talc ingredient list. Don't get me wrong - I never leave the house without it, but I've already got enough to last me a lifetime. theBalm Voyage Vol. 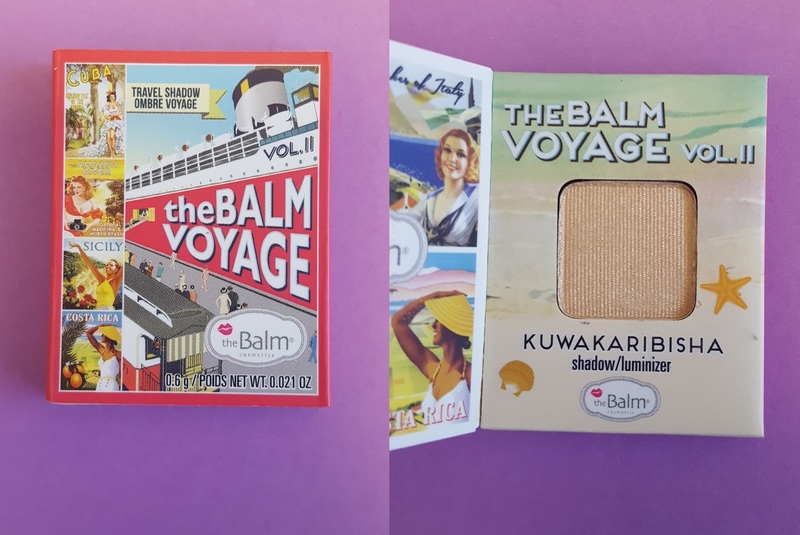 2 Eyeshadow/Luminizer in Kuwakaribisha - TheBalm has got to have some of the cutest sample packaging (I love magnetic cases) but the sample inside is always so tiny you can barely get anything on your brush, especially the blushes and bronzers. But I deal with it because I do love the pigmentation I get from their products. They're subtle yet you can still tell it's there. 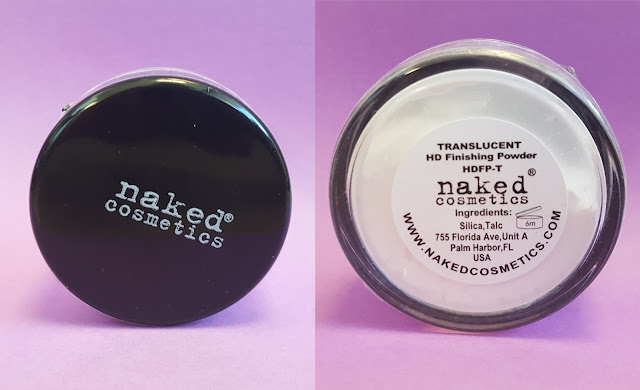 I'm not a huge fan of luminizers but I could definitely get some use from this as an eyeshadow. Sundays Nail Polish in No. 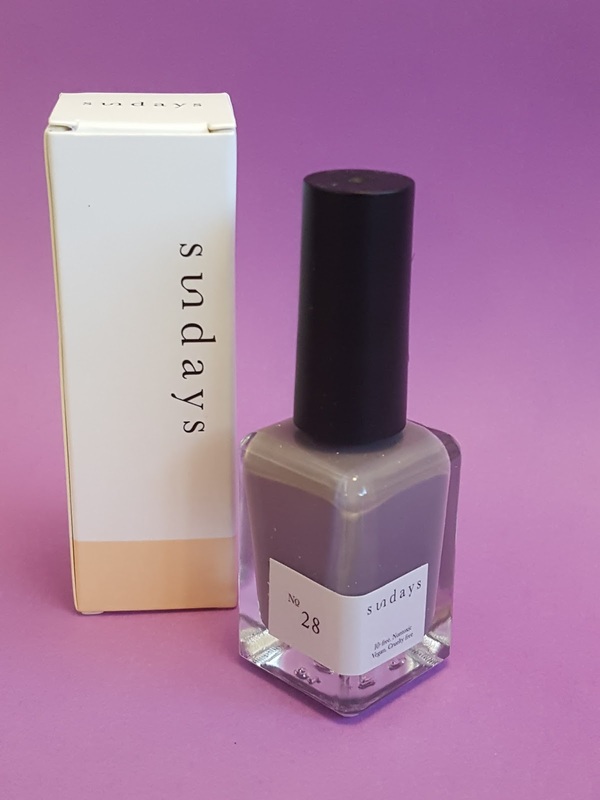 28 - Sundays is a nail spa in NYC that also has its own product line featuring cruelty- and 10-free vegan nail polishes. No. 28 is an earthy lavender gray that's perfect for the transition from summer to fall. I'm definitely using this the next time I do my nails. Verdict: Maybe I'm just bitter that I won't be able to use the cleanser anytime soon or that I already have a ton of setting powders and shimmery peach eyeshadows, but I wasn't overly impressed with August's glam bag loot. I will say that I'm very happy with the nail polish though, because while I do already have a bunch of purples, I don't have a dusty purple quite like this one. And the nail polish alone costs $18 sooo I guess that makes up for being underwhelmed. Sign up here to get started with Ipsy. 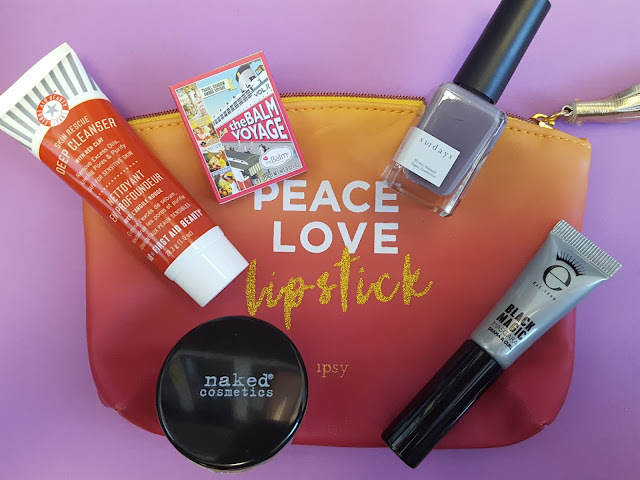 For only $10 a month you'll get five items inside an exclusive makeup bag along with access to loads of online coupons from the featured brands as well as discounted prices via the Ipsy website. Note: This post contains referral links. All opinions expressed in this review are my own.